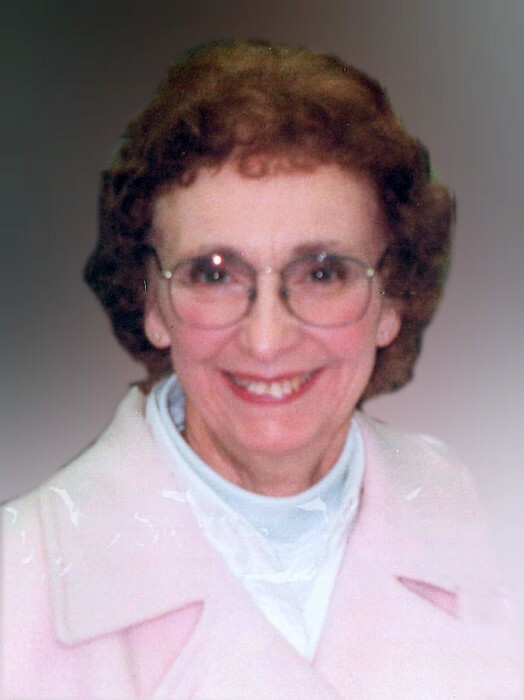 CUYAHOGA FALLS – Patricia A. Obendorf went to be with the Lord on the morning of January 20th after a lengthy battle with Alzheimer’s Disease. Pat was born July 13, 1929 to John and Ella Backe in Akron, Ohio. She graduated from West High School and went on to graduate from Bowling Green State University, where she was a member of the Alpha Gamma Delta sorority. Upon graduation she worked for Connecticut General Insurance and was a buyer for Yeager’s. After raising her family, Pat was very proud of her almost 30 years as the staff substitute at Cuyahoga Falls High School. Pat married her husband, Charles R. “Bob” Obendorf in 1956 and they enjoyed 62 years together. Proceeded in death by her parents, her brother John and son Scott, she is survived by her husband, son Charles (Tami), and daughter Lisa (Bill) Kehoe. She had three grandchildren Elizabeth (Dan) Schneck, Kristin Usberghi, and Matthew (Kelly) Obendorf. She also had three great grandchildren Jack Usberghi, and Hannah and Natalie Schneck. Friends may call 2 hours prior to a 12-noon funeral service on Thursday January 24, 2019 at the Clifford-Shoemaker Funeral Home 1930 Front St. Cuyahoga Falls, OH 44221. Final resting place is Northlawn Memorial Gardens in Cuyahoga Falls. In lieu of flowers, memorials should be made to the Alzhiemer’s Association (alz.org). Services entrusted to Clifford-Shoemaker Funeral Home and Crematory, 330-928-2147.